From Portland (Oregon) to Oakland (California) to be precise. 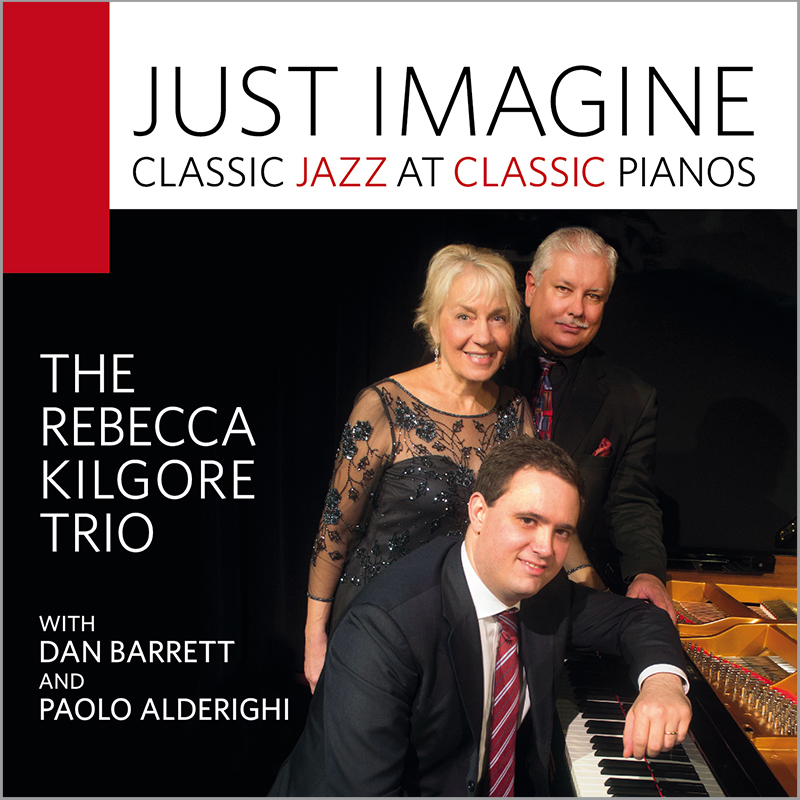 Rebecca Kilgore and the fine pianist Randy Porter are coming south for a duet concert on Friday, January 31, 2014, at 8 PM. They will present “a wide variety of songs from the Thirties to the present, celebrating the musicians they love, including Billie Holiday, Marilyn Monroe, Judy Garland, Dave Frishberg, Lyle Ritz, honoring composers famous or obscure. Tender or exuberant, Rebecca and Randy team up for a memorable program.” The place? Piedmont Piano Company, 1728 San Pablo Ave. (at 18th), Oakland, California. To reserve tickets, please call (510) 547-8188. Their website is www.piedmontpiano.com. Tickets are $20. I’ve only heard our Becky for the last fifteen years or so — which is enough to form an opinion of her as a peerless singer and interpreter of songs. I just met Randy in his home town, heard him play, and admire him immensely. These two have been working together and their concert promises to be a treat for Californians — or denizens of other states as well. And, by the way, a concert in a piano company will feature a spectacular instrument, good sound, a small, quiet audience . . . so don’t wait, because these events sell out, as I can testify. I know I am name-dropping here, but (as a born hero-worshiper, it might be permitted me). I have been in the entirely exalted company of my heroes — Becky Kilgore, Dan Barrett, Paolo Alderighi, Randy Porter — for a recording session, a club date at Ivories, and a concert at Classic Pianos (here in frosty Portland, OR). Dan Barrett began to play this song — IT’S ALL IN YOUR MIND — on the piano and we both worked our way through the lyrics, Dan leading the way. I hope the world is never heavy on your heart . . . but perhaps learning this song will be a good spiritual probiotic just in case. Blessings on La Vere, Teagarden, Kilgore, Barrett, Alderighi, Porter, and my new Portland friends. Their love — expressed in music and other ways — makes it easier to keep my idealistic point of view, to float hope on the waves of change. P.S. The “Classic Jazz at Classic Pianos” concert is happening tonight — doors open at 7 PM. That still leaves a good deal of time for people to get there . . . music that will make the heart light!